Founded in 1998 by the visionary aerospace engineer Luiz Paulo Junqueira, NOVAER is a Brazilian aerospace company with a long-standing tradition and technology innovation in its DNA. With a focus on the supply of advanced design and engineering solutions and technology for the aviation industry, NOVAER develops and manufactures military and civil aircraft and is also one of the biggest exporters of landing gear systems for Tucano aircraft. NOVAER is based in São José dos Campos, the largest technology and aerospace hub in Brazil. It currently employs over 200 highly skilled professionals with experience gained in the most important companies in the segment. It's one of the most talented and innovative teams in our industry, with members having as much as 50 years' experience. To accomplish and deliver aerospace and defense solutions worldwide, excelling in the creation, production, trade and support of products and services. To be the best provider of original solutions for challenging aerospace and defense enterprises. • Established initially in São Paulo in 1998, the creation of NOVAER was motivated by the will of its founder, Luiz Paulo Junqueira, to start up and structure a business that could gradually execute engineering projects and manufacture aeronautical products. Thus, concentrated his efforts in the business of development and production of landing gear, a high-value aeronautical product, which know-how he already possessed. • From its foundation date to 2006, NOVAER has contributed to a number of aeronautical projects, some of which can be pointed out, such as the development of the landing gear and wings for the EV-20 Vantage aircraft, for the north American company Eviation Jets and the preliminary study of a military aircraft designated for counterinsurgency operations (COIN). • In December 2006, NOVAER was hired by the Centro Logístico da Aeronáutica – CELOG to develop a new version for the T-27 Tucano landing gear to meet the maintenance needs of the Tucanos of Força Aérea Brasileira – FAB and Embraer’s clients. In September 2010 NOVAER signed a contract with CELOG to exploit the production and commercialization of the Tucano Landing Gear. NOVAER then started to produce and supply the complete Tucano Landing Gear or its parts and components to FAB, Embraer and other air forces that operate the Tucano. • In mid-2007, NOVAER identified an experimental acrobatic aircraft that demonstrated, by its exceptional aerodynamic characteristics, could be the proof of concept for the development of a new aircraft, with promising market perspectives. This experimental aircraft was the “K-51”, project by the renowned aeronautical designer, Mr. Joseph Kovács, whose creations include the very own T-25 Universal (primary trainer at FAB) and the T-27 Tucano (intermediate trainer at FAB), among others. In October 2007, NOVAER acquired the copyrights on the K-51 projects and Joseph Kovács joined the team of engineers at NOVAER. • In mid-2009, NOVAER started its actions to offer the development and supply of a new military trainer aircraft (provisionally named Project T-Xc), as a more modern and economical alternative to the replacement of T-25 Universal aircraft, used almost 40 years in the primary training of the cadets at Academia da Força Aérea Brasileira - AFA. • In February 2010, NOVAER issued request for economical grant to the Financiadora de Estudos e Projetos (FINEP) Agency, to support the costs of developing an aircraft prototype, with primary and secondary structures made of carbon fiber, based on the proof of concept aircraft K-51 (the Project T-Xc). In June 2010, the Project T-Xc signed a Grant contract with FINEP, thus beginning the execution of Project T-Xc. Under referred contract, the Project T-Xc was compelled to make available their technical skills and meet a work plan approved by FINEP, for the implementation of Project T-Xc. • Also in mid-2010, NOVAER started its actions along with the Brazilian State of Santa Catarina looking to obtain investment resources, tax breaks and the necessary infrastructure for the implementation of a new aeronautical industry in Brazil, with the intent to explore the general aviation and defense market, having the T-Xc as its starting product. • Early 2012 the Brazilian government launched a series of measures with the intent of leveraging the Brazilian military-industrial park, in special Law number 12.598, of March 22, 2012, that establishes special standards to the buying, hiring of defense system products, and the development of defense products and systems, provides rules for incentive to the strategic area of defense. Because of such measures and under guidance from the Ministry of Defense, from the Associação Brasileira das Indústrias de Materiais de Defesa e Segurança - ABIMDE and from the Associação das Industrias Aeroespaciais do Brasil - AIAB, NOVAER starts its actions to qualify itself as a Strategic Defense Company. • In August 2012 NOVAER signed investment contract with Santa Catarina investment company SC Parcerias. • In January 2013 NOVAER started manufacturing the first prototype of the Project T-Xc. • In March 2013 NOVAER attended the first meeting of the Unasur I Project, regarding the multinational development of a basic trainer aircraft that meets the requirements of south American Air Forces. • In July 2013 NOVAER transferred its headquarters to the Avibras I location, where the designing, engineering and administration offices were side by side with the prototype manufacturing plant. • In July 2013 NOVAER was admitted into the Inova Aero Defesa Act, being electable to receive grants and funding resources, focused on aeronautical innovation. • In December 2013 NOVAER was approved, under the Inova Aero Defesa Act, to receive funding resources to the development, certification and industrialization of the T-Xc and also for the development of the Landing Gears of the Unasur I. 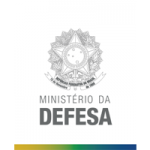 • In February 2014 NOVAER was classified by the Ministry of Defense as a Strategic Defense Company (Empresa Estratégica de Defesa – EED, under law 12.598 of 2012). The federal government grants this classification to companies that invest in technological and industrial development and foster local content in goods and services demanded by the country's defense sector. • In March 2014 NOVAER finished the manufacturing of its first protoype and celebrated the “roll-out” ceremony, in which the aircraft was presented to the public for the first time. • August 22nd 2014, was the day that the T-Xc prototype flew for the first time, accompanied by the K-51, aircraft that was used as body of proof for the development of the T-Xc. • In September 2014, NOVAER directors met with Brazil’s Defense Minister to inform on the status of the T-Xc project and its possible future applications. • In October 2014 attended the DCTA event where the prototype was exposed for the public audiences for the first time. • October 23rd 2014, was the prototype’s first in flight retraction and extension of landing gear, a very important step to the full assessment of the aircraft’s capabilities and the complete maneuvering envelope. • On December 4th 2014, NOVAER and the Brazilian Air Force Academy reedited recent history and, together, chose the official name of the military trainer version of Project T-Xc – and so was born the NOVAER SOVI. • In November, during the International Fair and Congress of Composites, the SOVI prototype won the “Excelence in Composite Award”, under “Best Technological Development”. On the official ceremony, it was praised for “demonstrating the great qualities of the advanced composite materials used in aircraft construction, which confer lightness and contribute to the optimal performance of the airplane”. • On June 24 th 2015, NOVAER was present at the congress meetings that discussed and launched the “Parliamentary Front for the Aeronautics and Space Industry of Brazil”, with the objective of defending the interests of the Brazilian companies of theses sectors. • In July 2015 NOVAER moved its operations to the CEV Business Center, in order to expand its operations for the development of the Sovi MTP. NOVAER has a managerial and technical group characterized by the high level of experience of its members, some of which have worked for over 25 years in the aeronautical industry, mainly at Embraer, and were responsible for the development of several important aeronautical projects. On the other hand, this experience is revealed on a number of competences, from the more technical (aerodynamic engineering, materials, avionics, systems, etc.) to those related to NOVAER’s administration, such as commercial, legal and of strategic planning. This experience in the aeronautical sector also results in a wide network of contacts, an important asset for the business development. NOVAER is a horizontal company from its origin that wishes to focus its activities and competences as an integrator of products. Currently, NOVAER already relates to the aeronautical productive chain and RD&I entities, in a coordinated fashion, dynamically and ready to meet the supplying needs of goods and services related to its operational and development activities. It has already established a wide network of relationships and contracts with members of the aeronautical productive chain, in a series of areas, such as engineering, machining, stamping, fabrication of composite materials and tooling. The same happens to research centers, universities and other RD&I entities. NOVAER already holds development and research agreements with ITA, UFMG, with the research centers that belong to DCTA and with entities belonging to the Centro para Competitividade e Inovação do Cone Leste Paulista - CECOMPI. NOVAER understands that the existence of a healthy national productive chain and RD&I structure represents a strength in the sense that the existence of national suppliers and RD&I entities would generate a considerable efficiency in the costs of development, aside from reducing imports, exchange risk and technological dependence. On the other hand, NOVAER wishes to provide high technology level aircraft, with competitive purchase and operational costs, commonality in the product line and global technical assistance with the best conditions. Before becoming an aeronautical industry, NOVAER is a company dedicated to engineering, which qualifies it to make and manage, concomitantly, programs for the development of aircraft, and of aeronautical and non-aeronautical products. Likewise, that allows it to increase productivity, especially in face of the seasonal effect of demands for engineering, due to the development cycle for each of the aircraft. The T-Xc Program is an example of investment project that is an intense generator of technology and added value in production. For example, the core of the scope of Project T-Xc involves the development of an aircraft using carbon fiber structures, which is the main component utilized in the manufacturing of products that have a high structural resistance and low specific weigh in the space sector, nuclear, defense, aeronautic, sporting goods and transportation, among several other sectors. The development of the T-Xc in carbon fiber will generate technological impacts of extremely high value. By mastering this technology NOVAER can provide for its products a level of competitiveness not easily seen in other aeronautical industries of the segment, due to the various advantages in performance that will be generated, improving its exporting potential. Another feature resulting from the technological impacts of NOVAER’s business is the generation of technologies aligned with environmental sustainability and energy saving. The carbon composites for example had a great boost in usage during the 70’s, due to the oil crisis, and is a vector still valid nowadays considering the increasing prices of fossil fuels. Polymer composites, when used in place of aluminum alloys, present countless advantages due to, above all, its great production flexibility that allows the replacement of a large number of parts by a smaller number of parts, decreasing the number of joints and fittings, together with its higher specific strength and stiffness. These advantages bound to an adequate project allow an average decrease in structural weigh of aircraft between 10% and 15%. This reflects in an increase in pay load and economy in fuel costs. NOVAER demands that the productive chain be in compliance with the technical standards, which establishes the basic requirements for the improvement of internal processes and, consequently, of product quality, employee qualification, monitoring of the workplace, customer/workers/suppliers satisfaction control, in a continuous process of enhancement of the quality management system. To receive the certificates of compliance for such standards, the organizational processes of the productive chain will need to be verified by independent external audits that guarantee the accordance to those standards. The suppliers in the productive chain must fit intensively in the quality control standards, control their industrial processes and establish a reliable traceability system for raw materials, products, processes and/or services, utilized in the execution of the supplies or activities to be hired by NOVAER. The accordance to quality standards and the compliance to the requirements for aircraft certification, grants the productive chain a boost in quality, better organization, production and credibility levels – elements that are easily identifiable, increasing its competitiveness in the national and international markets. The implementation process of quality standards and/or compliance to aeronautic requirements and demands of aircraft certification demands a continuous effort of enhancement of knowledge of the people involved in the administrative and productive processes of NOVAER and its productive chain. The certification process itself demands the providing of several trainings and qualification courses, so that the culture of the aeronautic quality and the compliance to its standards can be effectively absorbed by the human capital. AIRCRAFT DEVELOPED IN A WAY NEVER SEEN BEFORE. THIS IS THE NOVAER STANDARD IN AEROSPACE ENGINEERING. With high technology, competitive costs and, specially, lead times much shorter than the market standard, our solutions go through the meticulous 360° process, which ensures the highest quality and performance, from nose to tail of every aircraft. NOVAER has a proven track record of 20 years in the conception, development, certification and production of parts and components for aerospace and defense projects, as well as complete integration and management of its supply chain.